According to report of Pakistani media the family of Former Al Qaeda Leader Osama Bin Laden will get freedom from Pakistan next week after completing their punishment of 45 days for illegal stay in Pakistan. 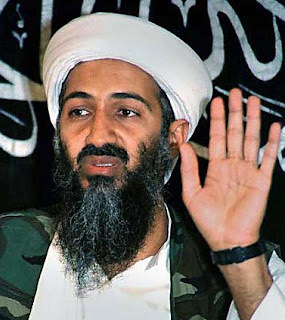 The family of Osama Bin Laden will be deported to Saudi Arabia From Pakistan on 18th of April 2012. Three wives and two kids of Osama Bin Laden are under house arrest in Pakistan right now. They where detained by Pakistani Security forces after American Operation against Osama Bin Laden in Abbottabad on 2nd May last year. Among three the two wives of Osama are Saudi and one is Yemeni. Lawyer of Osama Bin Laden's family Aamir Khalil has also confirmed that they will be freed next week by Pakistani Authorities. It will be interesting to see how these people will be kept away from media who will try to catch them to ask questions once they are left.